retro month week 2 blurb up now! Re: retro month week 2 blurb up now! Could this be the Bob Geldof-hosted episode? ^ The episode date for the above would be 1 March 1987, as I recall the Sam Fox hosted episode ("next week") was 8 March 1987. I can't seem to find the episode hosted by John Farnham and Derek Pellicci from Little River Band (I read that as one episode they co-host together, rather than individual episodes they host separately) on TARA. Any clues Jason? I figure it's likely to be a 1985 episode, though, if they're billed as being from LRB. Yes, rage reveal it's the 1 March 1987 episode hosted by Dave Stewart on the facebook page. Very happy with this. Love the mid 80's episodes. Nice to have some variety as well. If they're going to focus on "mid to late 80s" week 2, Countdown only covers half of that period (early 1985 to mid-1987). The blurb only mentions 3 Countdown episodes. I wonder what else, if anything, they might fill the rest of the space up with. Do you think ABC Rage consider 1982 to be mid-80s? If so, then John Farnham hosted a show on 12th September 1982. Otherwise, the only other one is 16th November 1986, which they've already aired. Yes RetroTragic, you are dead right! Jason's little Countdown archives say for the 12/9/1982 hosted by John Farnham and LRB's drummer. So this should be the one. Btw when did Rage ever show a preview for week 2, a whole week in advance? Amazing. The John Farnham and Derek Pellicci Countdown episode is one of my requests which rage will be playing next weekend! :-) I requested this episode for Outline in the studio and Rough Trade video for All Touch. Looking good. "Daughters Of The Northern Coast" is my fave Australian Crawl song. Hopefully we get a couple of Countdown episodes from 1983 in the final two weeks of Retro Month, be interesting to see what Rage has in store for weeks 3 and 4. I just hope that they don't have a 90's theme. More 1983 Episodes would be great, there is a 1983 Episode I requested this year and have been requesting for a few years now. 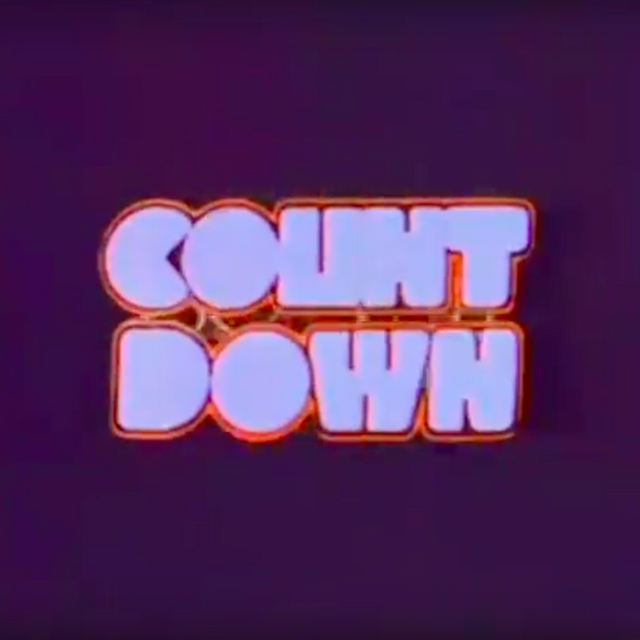 I'm really looking forward to the John Farnham and Derek Pellicci hosted episode of Countdown from 1982 next weekend, it will be great to have the video clip for 'All Touch' by Rough Trade on a Countdown episode, such a great song. "Olivier" Newton-John and "Madmen" 'Driving In My Car'? Oh dear. I've got a bad feeling about this :worried: It seems they're doing the "era" approach again this year. The rage website says "week 1 - 80s", "week 2 - mid-late 80s" which means week 3 and 4 will probably be 90s and 00s respectively. I read either on facebook or the rage website that they will be showing eps of that awful thing hosted by Dylan whateverhisnameis, I can't even remember what it's called but it's hideous and a complete waste of time. Dylan Whatshisface is a really, really terrible TV host. I remember watching some Recovery when it aired and thinking he was laughably bad; like the ABC were taking the pi$$. Though that whole era of 'alternative' music was about cultivating an image that you didn't give a toss - just like most of the 'guests' who seemed to treat the show (rightfully) as a joke.